If you’re a young person who is just starting out, it’s more important than ever to look for ways to save money. It can be very overwhelming to face adult expenses for the first time, and with rent, utility bills, food and gasoline costs to worry about, the last thing you need is a high insurance premium. Luckily, there are a few smart ways that you can lower your premium and keep it dropping over time. You want your first car to be dependable and stylish, but you should also look for a car that can save you money on your insurance premium. The safety ratings, make and model of the car can all play a role, so talk to a car insurance agent before making your final decision. If narrow down your choices to a few select cars, an experienced insurance agent should be able to tell you which one will be the cheapest to insure. If you’re just starting out, try to get a credit card and pay off the balance each month. This will help build up your credit score. Many insurance companies use your overall credit rating as a factor when deciding your premium. If they see a higher score, they will deem you more responsible and less likely to get into an accident. A good credit score also shows that you pay your bills on time. Not only does being a great driver reduce your chances of an accident, it also can reduce your insurance premium. It will take some time, but after your insurance company sees that you have gone three to five years without any accidents or tickets, they will lower your bill. Some insurance companies offer more than just car insurance. If your company provides health or life insurance, consider asking about a multiple policy discount. It could save you money on your car insurance and provide extra protection that is good to have. 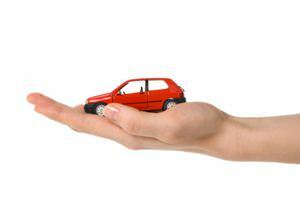 Many insurance companies will give you a discount if you take measures to prevent your vehicle from being stolen. Consider installing an alarm system, wheel lock or any other tool that could discourage a thief. If you aren’t sure which tools to choose, talk to your insurance agent about what exactly is required for a discount. Aside from saving gas money, there is another good reason to consider working from home: It could cut down your insurance premium. Most major insurance companies are willing to slash premiums if they see that the driver works from home or otherwise doesn’t use the car very often. Some companies are even willing to track your mileage and charge you for the miles you drive. Many insurance companies view college graduates as more responsible and less risky than other drivers. Therefore, if you work hard and get through school, it could result in a lower premium. Some companies also offer discounts to graduates of certain schools, but you will need to talk to your insurance agent to find out the details. You probably shouldn’t get married just to lower your insurance premium, but if you would like to anyway, it’s nice knowing that it could result in less bills. As with college graduates, many companies view married folks as more responsible and less likely to drive recklessly.